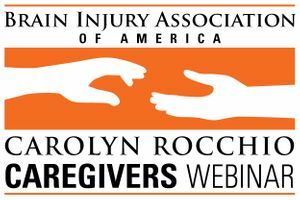 A Carolyn Rocchio Caregivers recorded webinar featuring Kristen Schreier M.A., CCC-SLP, and Jessica Heimall, PT, DPT, C/NDT, CBIS, HealthSouth Rehabilitation. Aired live August 1, 2018. This webinar educates listeners about preparing for discharge to home after a mild TBI or a non-traumatic brain injury. Listeners will learn about the parts of the brain that control motor function and balance as well as factors that can lead to falls at home. The speakers discuss how fall risks are assessed and addressed from a clinical aspect and provide specific fall prevention recommendations for a home setting along with general safety tips for consideration. To receive 1 ACBIS CEU, please select "CD/Handout Package, CBIS/T Rate (Includes 1 CEU)" or "Recorded Webinar - Download Now! (Includes 1 CEU)" from the drop-down menu. Please note: CD will not be available to ship until September 2018.